Billionaire casino mogul Kirk Kerkorian, founder of MGM Resorts, passed away on Monday in Los Angeles at the age of 98 after suffering from a brief illness. Kerkorian, commonly known as the “King of Vegas”, was a legendary business icon who played a large part in the transformation of the Las Vegas Strip into its modern-day iteration as a global tourism hub. After founding MGM Resorts International in the early 1990s, Kerkorian built three of the world’s largest hotel-casinos – including the International and the original and current MGM Grand – in addition to helping develop the $8.5 billion CityCenter in 2009. Despite stepping down as director of MGM Resorts International in 2011, Kerkorian remained the company’s largest shareholder. Outside of the casino industry, he was also the owner of Tracinda Corporation, which is a private investment bank firm based in Beverly Hills. “MGM Resorts and our family of 62,000 employees are honoring the memory of a great man, a great business leader, a great community leader, an innovator, and one of our country’s greatest generation,” Jim Murren, chief executive officer of MGM, said in a statement. Kerkorian’s portion of Las Vegas history began in 1962, when the investor purchased 80 acres of land on the Las Vegas Strip for $960,000. Eventually, he rented this land to pave the way for the construction of Caesar’s Palace. In 1968, Caesars purchased the plot, giving Kerkorian an additional $9 million with which to build his Sin City legacy. Along with architect Martin Stern, Jr., Kerkorian etched his name into the record books in 1967 by building the International Hotel, which was noted as the largest hotel in the world at the time of construction. The hotel’s showroom played host to entertainment icons including Elvis Presley and Barbra Streisand, breaking a host of attendance records along the way. In 1969, Kerkorian, in a second partnership with Stern, opened the original MGM Grand Hotel and Casino, which became the new largest hotel in the world. Nearly two decades later in 1986, he sold the MGM Grand hotels in Las Vegas and Reno for $594 million. According to Forbes, Kerkorian’s net worth as of 2008 was $16 billion, making him the 41st richest person on the planet. However, due to the stock market recession, his net worth dropped to just under $4 billion by 2013. 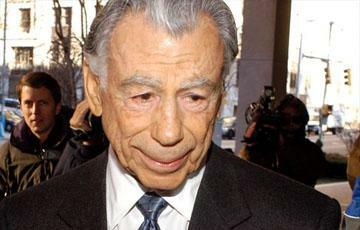 Although he was described as an “intensely private person” and rarely appeared in public, Kerkorian’s unique impact on the gambling scene throughout the United States is undeniable. As Las Vegas prepares to enter a new chapter without one of its most influential investors, the mark left on the industry by Kerkorian’s decades of investment and development will certainly have a part to play. His legacy within the gambling industry is on par with the most recognizable figures in the history of Las Vegas.